Medium sized cookie jar. 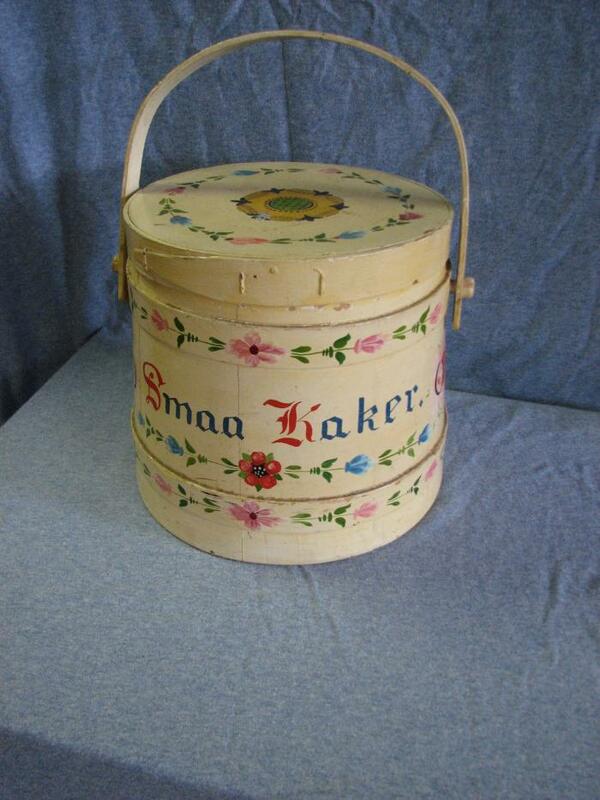 "Smaa kaker" (cookies) written on the side. It is cream colored, round, and covered with Rosemaling by Per Lysne. It is a bentwood box or tine in Norwegian.